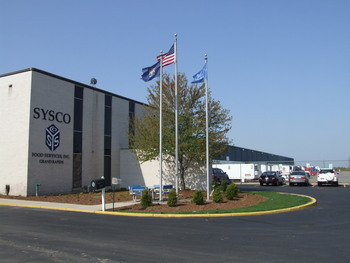 GRAND RAPIDS April 1, 2015– Workers at Sysco Grand Rapids recently filed a petition for a union election to affiliate with Teamsters Local 406, and now the company has brought in union busters to silence the employees’ voices ahead of the vote. As a show of support and solidarity, organizers with Local 406 are holding a rally at Sysco Grand Rapids on April 2, from 1pm-5pm. Anyone in west Michigan who supports a strong middle class and dignity for workers is invited to attend, even if for just a half hour. Organizers are hoping for a huge turnout, so invite your family, friends, co-workers, union brothers and sisters, and anyone else you know that has a passion for workers’ rights. WHEN: Thursday, April 2, from 1pm-5pm. This entry was posted on April 1, 2015 by WMALC in Events and tagged Grand Rapids, organizing, Teamsters.